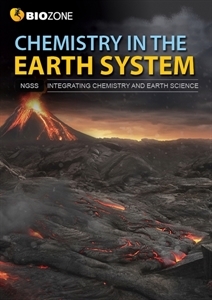 Chemistry in the Earth System has been designed and written following the High School Three-Course Model for California. It will also suit NGSS-aligned states integrating Earth Science with Chemistry. This phenomena-based title takes a three-dimensional approach to provide an engaging, relevant, and rigorous program of instruction. 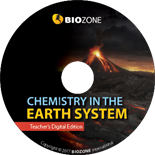 Departing from the more traditional approach of BIOZONE’s Non-Integrated Series, the Integrated Series offers a learning experience based on the 5 Es and anchored in student-relevant phenomena and problems. A number of States adopting NGSS, including California, are opting for a 3 course configuration that integrates the Earth & Space Sciences components into the three traditional sciences at high school: Biology, Chemistry and Physics. BIOZONE has already in development a new NGSS series that encompasses this approach. The proposed roll-out is Biology (already available), Chemistry mid-2019, with Physics soon to follow.